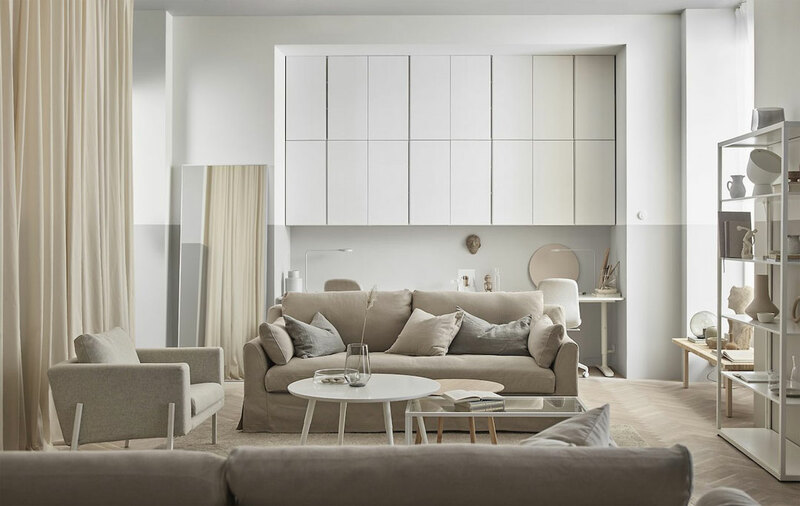 Earlier this month, I’ve shown you a beautiful and serene living room + office of interior designer Susanne Swegen’s home. By combining products in a soft, tone-on-tone palette, she created a minimal but warm look and feel. Very inspired by the beautiful simplicity of this home, I’ve made a list of products that you can use for a similar style. Like this post? Check out these 17 affordable IKEA items to give your home a Nordic vibe. Note: This is NOT a sponsored post in collaboration with IKEA. I just think it is nice to share some “Get the Look” posts that readers from pretty much anywhere can recreate without breaking the bank.